This book is sold subject to the condition that it shall not, by way of trade or otherwise, be lent, re-sold, hired out or otherwise circulated without the publisher's prior consent in any form of binding or cover other than that in which it is published and without a similar condition including this condition being imposed on the subsequent purchaser. The reader is advised to consult a medical doctor before trying out any exercises outlined in this book and by reading this book, agrees that he does so of his own freewill and choice, and will not, in whatsoever manner, hold the author liable, for any damages, failure, illness, loss or whatsoever consequence, deemed, rightfully or wrongfully to be caused, directly or indirectly by the use, exposure or influence of the material in this book. cleaning by getting rid of impurities an improvement that makes something more agreeable a cartilaginous structure at the top of the trachea; contains elastic vocal cords that are the source of the vocal tone in speech and perfected over more than ten years the original concept was to provide an audio CD with all the exercises and demonstrations, but over the years, a this option resulted in an increased practice of mimicry of the author by students, to a frightening precision. INTRODUCTION TO MUSIC As with many other chapters, I battled with the inclusion of this chapter in the book. However, the fact that I will not be with you in class compels me to add as much supporting material as I can. When discussing music it is often difficult to refer to the concepts of music without using musical language — so I had to find a workaround. I did not intend to teach you musical notation, but because it facilitates learning how to sing, and it enhances your perception of music, we should look into it. It is not required; but it is desirable. The use of musical language is the preferred approach in APEL. It makes communication and training easier and effective. Some of the concepts and examples require aural demonstration of some sort. By following the references at the end of this book, you will find the corresponding tracks on the audio supplements6 distributed with the book. WHAT IS MUSIC? What is music? If you are going to study music, you will NEED to know its definition. Music is the art of arranging SOUNDS into expressive SEQUENCES and COMBINATIONS. You will notice that there are various aspects of music mentioned in this definition — the art aspect, the sound aspect, the sequence aspect, and the combination aspect. Unpacking a Sequence A sequence is an orderly succession of events. If I said, "Water, soil, sun, moon and metal," I could be giving you a sequence of natural elements. If I counted, '1, 2, 3, 4, 5 and 7,' I could be giving you a sequence of numbers — or alternatively, another example could be, '3, 2, 4, 1, 8.' The same applies to music, if I sing three notes one after the other, I am giving you a sequence. But we all know that I cannot just take any notes and sing them together, because when I do that, people will say I am not talented as a singer. The reason for this is that I will probably sing anything that comes into my mouth, without order or relationship. When you play a sequence, you involve two things, the EVENT intervals, and the TIME intervals. Event Intervals Event intervals refer to the movement from one event to the other; in our case, the movement from note to note. When you sing your first note, you could move up to the next note, or even move down to the next note. But the fact remains that there will be some kind of gap between one note and the next, which is what gives your music character. The character of your music will be expressed in how you move from one note to the next. Imagine a series of steps going upward, in the following order, BLUE, PINK, GREEN, YELLOW, BROWN, PURPLE, and RED. I could move from BLUE to PINK, then PINK to BROWN and then BROWN to GREEN. Moving from one step to the next might be easier than skipping or jumping to two steps further away from the current position. Nevertheless, the pattern in which I move along the colored steps would be my creative movement, which forms patterns such as 'BLUE, PINK, BROWN, and GREEN.' If you were to move on the steps, you could also create your own unique pattern. This means you are ARRANGING the colors into a sequence of your own in your own manner, a pattern that you like. With music notes, you could do the same thing  the principle would be the same. Therefore, your varied movement from the depth to the height, and vice versa, creates sequences that appeal to the ear. Time Intervals between Notes Time intervals do not change the structure or shape of your sequence. They only accentuate the motion. When soldiers march, they maintain a predetermined interval between their 'left' and 'right' steps, thus, accentuating the march. They would not be marching if the 'left' and 'right' followed each other at random speeds and distances. Try to walk as you count, stepping at each number — first, '1-2-3' repeatedly, and then try '1-2' and finally try '1-2-3-4,' you will notice that it affects the event of your steps. A sequence is not complete without time intervals, determining how and when the events in the sequence  be they notes or colors, footsteps or light flashes, should proceed and precede each other. To sum up, we said music is about arranging notes sequentially, which results in two aspects of note characteristics, the note activity and the time activity. Now, let us look at what happens when notes are not following each other in a sequence, but playing simultaneously. Simultaneous Combination It really sounds more complicated than it is. A simultaneous combination simply requires knowledge of the sounds that do not conflict when sounded together. You could wear a green skirt or pants, and a yellow blouse. Does that combination sound pleasant or harmonious? However, in the same context you could find that a skirt which has both green and yellow spots, has a slightly different effect. If the former combination (the green skirt with a yellow blouse) appealed to you, you might find that this one (the green skirt with yellow spots) does not appeal as much to you. The same applies to notes, you could find that certain notes sound better when played simultaneously, than they do when played at the same time. Some combinations sound better when heard one at a time than, all at once. In this kind of combination, you learn to use simultaneously, those notes that have an absolute harmonious (musically pleasing) effect together. How many do we use per song? What makes them sound good or bad? How long are the notes, or, how can we measure their durations? How can we measure level of pitch? NOTES IN A TUNE OR SONG A normal song usually contains only around seven notes. In addition to the notes in any one key, there are five additional notes that are occasionally used to expand the scope of the melody. Therefore, any one key (how high or low the note range of a song is) has only 12 notes11, of which on average only about seven are used on per song. These same twelve notes are the entire foundation of all the songs in the world12 — APEL Truth.091 You must understand that although there are only 12 sounds, these sounds have many variations. Each of the twelve notes can become the center of a key — APEL Truth.092 For example, there are only three base colors; these three colors have many variations that are then responsible for the rest of the colors. The twelve notes we are referring to, are named after the first seven alphabet letters, as follows: C, D, E, F, G, A, and B (or A, B, C, D, E, F and G). In addition, the same alphabet names are reused (with an suffix) to expand the number of available names as follows: C<, D<, E<, F<, G<, A<, and B<, and additionally: C=, D=, E=, F=, G=, A=, and B= (yes, there is such a thing as F=, C=, B< and E<). NAMING FOUNDATION Some of the notes (with affixes) are also used as second (or additional) names for some of the already named notes, e.g., C< and D= are the same note. Even though we might now end up with 21 names, there are still only 12 notes, so some names will be 'synonyms.' Let us recap:  Alphabetical Names — all notes are named after the first SEVEN LETTERS IN THE ALPHABET, i.e., A, B, C, D, E, F and G.
Expansion of Name List — any other notes remaining will derive their names from the same list but with an identifier in the form of an affix known as a SHARP (<) and a FLAT (=). Allocation of Affix — the affix is allocated according to the note's position in relation to a plain alphabet note, i.e., a note like C uses a plain alphabet name, but notes between C and the next note, either below or above, will use the same name with an affix. Positions — a sharp (<) is the note immediately above, and a flat (=) is the note immediately below. In the context of this book, think of sharp as though implying above and flat as though implying below (like a flat tyre lowering the car, or a sharp object pointing upwards to pierce the tyre). Various Levels of the Same Notes In the next sections, I will show you in detail, how these signs affect the notes. Remember that when we say SOUNDS, we are referring to notes. There are many kinds of C's or D's or any of the other notes. Although there are only 12 notes, each note can have various levels of existence, one level in a woman's voice, another in a man's voice, and so forth. You will find that there are very low C's, low C's, middle C's13, high C's, very high C's and so on — but they are all C's. The same rule applies to all the other notes like D, E, F, G, A, B and C (including inflected notes such as D=, etc.). Chromatic14 Series The chromatic series is simply an organized list of all the 12 notes in sequence. In general, it can be stated that there are only 12 notes in the world, but in technical and classical contexts the notes extend further than twelve, because of the use of quartertones15, instead of merely using half tones (semitones16). This means that a technical musician will attempt to create other finer notes by inserting a new pitch in-between the listed twelve, by making the new notes slightly lower or higher in pitch, to increase the total number of notes. You do not have to worry about quartertones — we never have to use them. The chromatic series therefore, is an illustration of how the 12 notes relate to each other in terms of pitch. First, it is important to remember that the notes are named according to the first seven letters in the alphabet, meaning A, B, C, D, E, F and G (or C, D, E, F, and G). We use 7 alphabet letters, but we have 12 notes to name. This effectively means that we are short five names. These five names will be derived from the seven letters we already have, by using the neighbor system17. The neighbor system is not a conventional term; it is APEL commonsense analogy. The analogy compares notes with houses in a neighborhood. In this analogy, if you do not know a house owner's name, you can refer to him by the name of his neighbor. — which is why we use his neighbor's name as a reference. This is what we are going to do here: refer to these unnamed notes by their neighbor's names. Notice that there are gaps between each note and its neighbor, except between B and C and E and F. The B-C and E-F relationships are the only ones within which there are no gaps. In other words, there cannot be another note inserted between the two closed positions of E-F and B-C. To remember this, consider the B-C or E-F relationship a closed relationship18. It is like one of those parking bays that are so close to each other you can hardly get out of your car. Let alone attempt to park a motorcycle in between them. Neighbour System Each named note will have two neighbors, one on the left and one on the right. Musically speaking, we shall call the neighbor on the left a FLAT (using the sign =), and the one on the right a SHARP (using the sign <). For a note like D, the left neighbor will be known as D-flat (D=) and the right neighbor as D-sharp (D<). Some notes will end up having two neighbors, meaning that they will have two names. One derived from its left neighbor, and one derived from its right neighbor. You can therefore; refer to a note either by the name of its neighbor on the left, or the name of its neighbor on the right. It all depends on the context. This is a concept you will understand better in the next chapters. Now that we know how to arrange the seven natural notes and how to name the unnamed notes, we can arrange the complete 12-note table or series with all the names. Double Neighbours It is also important to understand that a note can be sharpened more than once, meaning that C can be C< and even C<<. Then it is important to remember that when a note is sharpened, it is moved up by a semitone (a semitone being one block or house stand in the chromatic series). So then, C< is D=, while at an additional sharp, that is C<<; it is the same as D. To read the chart correctly, each vertical row between the lines represents a single note (or house stand), the two names are alternatives — depending on the relationship you are focusing on when you address the note. D=, is D's neighbor, but C< is C's neighbor. Yet, the two notes are the same. Do not let the addition of double and triple sharps confuse you, it is merely a continuation of the neighbor system. Where, in a case where you called a person "Mr. Smith's Neighbor," you could also call another person who is a second neighbor, "Mr. Smith's neighbor's neighbor." To the mind, it is an uncommon way of communication, but it still carries the same logical sense as the first reference. SCALES Now, do we use all twelve notes together every time? We cannot — if we did, there would be chaos. We have to find a way of grouping those notes that seem to flow into each other with ease, and use them in a set (like a circle of friends or family). CREATING A SCALE On any given street, some neighbors' 'clique' together more than others, it is those who become friends and do things together. Once we find those groups of notes that have a clique by way of relationships, we will comfortably use them together in whatever way we creatively choose. A grouping of related notes together is called a SCALE. Just as we gave the notes names, we will end up giving scales names too. These names will depend on the manner in which we associate the notes. Scales are part of the definition of music that we gave at the beginning of these studies. MUSIC IS THE ART OF ARRANGING SOUNDS INTO EXPRESSIVE SEQUENCES AND COMBINATIONS. As soon as you mention the SEQUENCE, you are referring to any sounds that we extracted from the chromatic series of 12 notes that have a clique together. To use the notes together for a simple reason of flavor or essence, we usually restrict ourselves to a few notes (normally seven notes which 'clique' together). This we call a scale. One may for example, choose to use only C, D, E, F, G, A and B. These notes would make up a scale, and that scale would have a name. In this case, it is the C Major Scale. The most important thing about a scale is the formula upon which it is based, because that determines the relationships between the various notes. A person becomes your biological mother only because she gave birth to you, and that alone, is what really determines the type of biological relationship between the two of you. The relationship of mother and son, or daughter can be derived from such a formula. The note on which the scale starts is called a root or the tonic. Effectively, there are 12 roots or tonics, because each of the notes on the chromatic series can act as a tonic or root for some scale as you will see later on. SCALE VARIATIONS You will notice that major scales have no variation types22 generated from them, unlike minor scales, which have two main types, the HARMONIC MINOR and the MELODIC MINOR. As we said, the harmonic minor is called harmonic because it is mainly used for harmony, that is, the creation and construction of chords. The melodic minor is so called because it is mainly used in the creation and construction of melodies. SCALE DIRECTIONS The MELODIC MINOR characteristics extend further, from being a mere branch of minor scales, it also has two further branches (characteristics) of its own, that is, the MELODIC MINOR DESCENDING and the MELODIC MINOR ASCENDING. The two forms of scales are used as indicated by their names, when a melody goes upwards, the notes used in it are taken from the melodic minor ascending and vice versa. TONE AND SEMITONE CONCEPTS Before one can create scales, one needs to understand the measuring system used in the chromatic series of 12 notes. You cannot measure notes in meters (e.g. C is 1 meter away from D), or even kilometers (e.g., C is 1 kilometer away from D). The same way you cannot measure them by stand numbers (e.g., C is on stand number 1245A and D on stand number 56647B) or personal relationship names (e.g., C is the brother of D). You must use the TONE and SEMITONE relationship. That is, C is a tone from D. What is a tone23? What is a semitone24? DEFINING A SEMITONE Measuring the distance from a note to another simply means counting the box in which the note is located, and continuing to count until you reach box number two (for a semitone) or box number three (for a tone). It is important to count the FIRST BOX (the one containing your note) and the LAST BOX (the one in which you stop counting). A scale formula will be based on a sequence of TONES and SEMITONES — determining an aroma or essence upon which it is built. When you pick notes from the 12-note table (chromatic series) according to the formulae we will discuss, they will then form the required scale, in the key of the starting note. Notice that the box labeled 'Box 3' is the one containing the note you require, but imposes a choice between two names. Which of the two note names must you pick, since they both fall in the 'determining' box? Do NOT Repeat an Alphabet31 — even when the alphabet appears as a variation, you should never repeat it. It would be wrong to have a sequence like E-E<: [C] [D] [E] [E<] [G] It would also be wrong to have a sequence like F=-F: [C] [D] [F=] [F] [G]. MUSICAL NOTATION We are now assuming that you understand notes, tones, semitones and scales. It is also important to understand how music is read or written. Music is written on a set of five lines known as a staff32. These lines are used to represent the names of the notes (which were demonstrated in the 12-tone table, i.e., the chromatic series). Each line is named after a specific alphabet note and remains loyal to that note throughout a specific music piece. These lines are named according to the alphabet names previously discussed. In the following example, the first line from the bottom is named E and the first space name is named F.
However, this is not always the case; there are times when the staff will be named differently. Depending on the range of the notes you are writing, the line and space names might be labeled differently. Fortunately there is less than a handful of staff naming variations. What determines the conventions of the naming of these sets of lines (that is, why do we use two or more different labeling conventions)? Here we introduce a concept called a clef, indicated by a called the clef35 that determines the naming of the lines and spaces. There are more than three types of clefs, such as the F CLEF, the C CLEF and the G CLEF. These clefs change the name character (or range) of the staff into a range or compass for a specific breadth of notes (or instrument). It defines the scope within which a voice or instrument will predominantly perform, e.g., upper, middle or lower range. THE CLEF The clef is merely a sign that marks of a portion of the full range of audible, and useable notes into smaller and specific, and rather confined ranges for selected voices or instruments. In other words, notes written for a bass guitar will not be on the same range as notes written for a flute. Therefore, their demarcation and notation will differ somewhat, meaning that they will use different clefs. Remember that if you use a different clef, THE NAMES OF YOUR SPACES AND LINES CHANGE. The composer therefore, chooses a clef which represents the center of the range of notes he intends to use, and places it on the staff where his notes are written, that becomes the determining factor for what each line and space will be called. The G clef is the most commonly used, and it represents the middle to upper half of the piano keyboard, which is incidentally also the range were most human voices sing. The second most commonly used clef is the F clef, which covers the middle to lower section of the piano keyboard. The notes on the staff relate to the notes on an instrument. We referred to the piano in our examples of the clefs above. Since the two clefs each represent one half of the piano keyboard, putting them together would to a large extent represent the full piano keyboard. When used together, the clefs represent a piano music score — this also encompasses most, if not all human vocal ranges. Another clef that is not in common use today is the C clef. The C clef is very interesting because it can assume different positions on the staff, depending on the instrument or voice it is denoting. The C clef is always positioned on the middle C line. In the following Figure 24, the C clef is illustrated in its denotation of different voice or instrument parts. We have now laid down a foundation on the basics of pitch and given an introduction to how pitch is interpreted in musical notation. This is not nearly enough knowledge to start writing songs38, but it is a start in the right direction. What we will do in the following section, is start relating your new knowledge with additional focus on time39. I have no intention of making this a handbook on the theory of music; I only wish to give you enough knowledge to be able to discuss APEL in its full dynamics without the lack of music knowledge40 slowing you down or even preventing you from grasping some of the concepts. TIME IN MUSIC This section is aimed at teaching you how to follow, or read music notation in step time. Step reading refers to a interpretation technique that involves individual translation of music notes. A trained musician should develop to the real time reading level (where he reads without pausing to interpret the notes, but flows along as if reading text), where his mind unconsciously works out the meaning of the signs, and his reflexes follow suite by either singing or playing a musical instrument, accordingly. There are several elements that have to be understood and mastered to achieve this. Note Durations Every time a note is sung or played, it has two basic characteristics, the duration41 of the note and the pitch42 of the note. In simple terms, the note could be one beat long and at the same time be a C — or be three beats long and be a D=. It depends on the decision of the composer or creator of the music. This is what makes music — artfully combining notes of different duration and pitch. We have already found that notes are denoted on the staff, BY THE POSITION THEY OCCUPY ON THE STAFF (according to the note name of the intended pitch). To play a C note, we would have to write our note on the C line43. To play an F< note, we would have to place our note on the space for F. It is that easy to play or choose a note on the staff. But how does one determine the duration of the note? In seconds? No! Note Values In staff notation we use certain note shapes to denote the relative duration of notes. These note values have different naming conventions, viz., the English and the American naming conventions. Each note's duration is represented by a shape which allows the musician to play the duration correctly. Let us have a look at the naming of these notes — take note of the difference between the naming conventions, i.e., the use of either an American44 or an English45 convention. Figure 26 illustrates each note and its rest value. A rest value is merely the duration of a silent note, equivalent to the corresponding note (i.e., a breve rest is the same duration as a breve note). It represent those places in a song where an instrument is silent. Silence gives life to music — APEL Truth.093 The question is, if a note is called a whole note, what is it a whole of? Why do I ask this question? To indicate that in order to calculate a the duration of a note, it is necessary to first establish the size of the whole note, and work the rest out proportionally. To understand how big half of my salary is, it is important to first understand how big my salary is. The English names tend to make it easier, because it does not imply a relational size. You do not have to always calculate how the size of the note you are playing relates to the beat unit of your song. This can be a disadvantage because, music is based on the harmony and relationship of notes. For this reason, we recommend the American convention, which will force the reader to always think in the context of how each note relates to the next. The American convention always implies that note sizes are relational, that a note is only as long or short as its time signature46 (pulse meter) dictates. In Figure 26, there are two shapes per staff, the shape on the left represents a NOTE VALUE, and the one on the right represents a REST VALUE. If you see a shape that represents two beats48 (such as the shape labeled '3') on the F< space, you must then play two beats on the F< note on your instrument. Each note duration also has a rest duration. Rests are used to notate or mark a portion of the music where the instrument must remain silent. It is necessary when playing music to occasionally pause as the music composer instructs. Notice what happens when the music in Figure 29, is written on a different clef and key. Remember that a clef is simply a point of reference to indicate instrument's intended range. A C in the bass, middle range or even the highest range — is still a C. How would one know which C to play? Without a clef, your choir could sound like the chipmunks if they did not figure out that the bass was supposed to be singing in the bass range. Therefore, a clef indicates your note location relative to middle C (the sound of the C in the middle of the piano). You do not have to understand these examples fully, but only to the extent where they illustrate how one uses the knowledge just discussed in a real life situation. These examples use a G clef (that has not been discussed yet). Ledger lines (i.e. the horizontal lines that extend the height or depth of the stave) have been introduced in the example together with additional notation to direct dynamics (a term used in music to refer to tone and volume) when playing or singing the melody. It is important to understand that the number at he BOTTOM (the denominator) represents the beat value or duration, which means that the note you choose to use as a beat will be one of the note values from the table previously discussed. Commonly, the crotchet is the popular beat value; other common values are the quaver and the minim respectively in order of popularity. The upper number (in time signature) could be any quantity that you choose to use as the measure of your pulse. Obviously there are impractical58 time signatures whose effect would not make sense to the hearing ear. Any time signature is technically59 possible, but does not provide a sensible pulse measure. Study the table below and note the comments. Two minim beats per meter60. Common in older pieces, not so popular in modern music — practical and easy to read. Four crotchet beats per bar. This is the most popular time signature. Three crotchet-beats per measure — probably the second most popular time signature. Six quaver beats per measure — also very commonly used as a cross between two and three pulse meter. As you might already be aware, the most commonly used meters are 1-2-3-4, 1-2-3 and 1-2-3-4-5-6 — you can however use others. There are quite a number of songs that are written in a 2-pulse meter. Nevertheless, as I said, the possibilities are endless: you can do whatever sounds right to your ear, or culture. Grouping is necessary in order to make notation readable. It was necessary in the 17th and 18th centuries already, to standardize music notation grouping in order to make score reading easier, irrespective of the handwriting or notation habits of the then composers. The subject of notation grouping extends far beyond the scope of this book and will therefore, not be addressed extensively. RESTS IN VARIOUS TIME SIGNATURES INDIVIDUALLY All rests must be written individually (to the sum of the beat).  Crochet — when the beat is a crotchet, all crotchet rests must be written as crotchet rests. Half Bar — but when the rest values add up to half a bar and comprise a logical half of the bar (i.e., a half bar not spanning across the logical middle of a bar), the rest may be combined into one minim rest. In Figure 41, we could have used a minim in the middle, but it would have confused the logical middle of the bar. TRIPLE TIME In 3/463 time, all rests should be individual or separate, never combined, even when half of a bar is empty64. This is because, of course, three cannot be halved to a whole number. EMPTY BARS All empty65 bars (where the music or instrument is silent), in all time signatures studied so far, must be indicated by using one semibreve rest — even in 3/4 time where the sum of a semibreve duration would calculate longer than the measure. Figure 45 below shows the use of a minim and semibreve rests in 4/4 time, especially placement of a half-bar rest. It is very important to realize that each time signature is different and that the most important aspect about each time signature is the value of its beat and the duration of each bar measured in the number of counts or beats. Pronunciation — in 4/4 time, your grouping should always pronounce68 the beat of a crotchet. Arithmetical — where not possible, an arithmetical subdivision of the beat (i.e., a crotchet in this case) must be used. Beat Subdivision — where arithmetical grouping is not possible, do a further subdivision of the crotchet in quarters, as the melody of the music dictates. Bar Emphasis — grouping must emphasize a proportional subdivision of the bar. Half Bar — if the bar has four beats, the next alternative emphasis is the half bar of two beats, in single or combined values (i.e., a minim or two crotchets) or even a proportional 1 + 3 beats and even 3 + 1 beats. Minim Rest — in 4/4 time, as you could see, a minim rest should be on the 1st or 3rd beat only, and should never be on the 2nd beat. When it is on the 3rd beat it should be separated into two crotchet-rests (but never separated it if it is on the 1st or 3rd beats). The Dot — The dot is used to extend a note by half of its duration. The dot should not be used with the crotchet rest, but instead, rather use both the crotchet and the quaver rests together. With notes however, various proportions and combinations not permitted with rests may be used, especially with the use of a slur or a tie (a curved line joining two notes meaning notes must be played or sung without a break). Empty Bar — each empty bar must be indicated by a semibreve rest. Odd Time We have studied several time signatures in this chapter. Take note that 3/8 is simple time signature and is grouped in much the same way as 3/4 time — all quavers are joined together in this time signature. As with all other time signatures, there are rules to observe when filling the bar up with rests.  Separate — rests in 3/8 must be written separately for each full silent beat. Crotchet Rest — do not use a crotchet rest for two quavers in this signature. Empty Bar — for an empty bar, you should use a semibreve rest, even though it adds up to five more quavers than the duration of your bar. Bar Limit — your quavers are grouped together to the limit of each half-bar, which in this case is made up of three quavers. In a full bar of six quavers, you would have each three quavers joined together on either half, but not across the middle of the 6/8 bar. — for a half-bar, use a dotted crotchet rest, — should you have a half-bar with one quaver, then fill up the remaining beats (in the half-bar) using separate quaver rests for each silent quaver beat, — Remember that in 6/8 there are two beats69 (even though it appears as if there are six), each with the duration equivalent to a dotted crotchet. Dotted Note Values All of the note and rest values we have studied so far seem to be fixed. One may use the semibreve for a four-beat bar. What if one needed to use a note value with THREE BEATS — or ONE and a HALF beats? It would be difficult to write a meaningful song if all its values were fixed even numbers, or combinations thereof. African music boasts syncopation70 more than many other music styles or cultures — this principle is largely based on the displacement of rhythm. The moment you apply a concept like that, you are faced with a dilemma — you wish some of the notes were a little shorter, or longer than they actually are. This is where the dot comes in. By adding a dot to a note or rest value, you automatically extend it by half its duration. Therefore, it attains a new duration equal to the ORIGINAL VALUE + HALF OF THE ORIGINAL VALUE. Dotted Examples The following are examples of what happens to various note and rest values when coupled with a dot. Semibreve — the example above illustrates a semibreve with a dot, i.e., a dotted semibreve — the new value as you can see is equals to the semibreve plus its own half (a minim is the half of a semibreve), in four-pulse71 time signature, this note would receive a total of SIX BEATS. Minim — the example above illustrates a minim with a dot, i.e., a dotted minim. The new value, as you can see is equals to the minim plus its own half (a crotchet is the half of a minim), in four-pulse time signature, this note would receive a total of THREE BEATS. Crotchet — the example above illustrates a crotchet72 with a dot, i.e., a dotted crotchet — the new value as you can see is equal to the crotchet plus its own half (a quaver is the half of a crotchet). In four-pulse time signature, this note would receive a total of ONE AND A HALF BEATS. Quaver — the example above illustrates a quaver with a dot, i.e., a dotted quaver — the new value as you can see is equals to the quaver plus its own half (a semi-quaver is the half of a quaver). In four-pulse time signature, this note would receive a total of ONE HALF AND A QUARTER BEAT. The Double Dot73 Sometimes it becomes necessary to add, a second dot to a note, signifying the ORIGINAL VALUE plus HALF (of the original value) plus the QUARTER (of the original value). The double dot is therefore used in the same manner as the dot: it adds half of the note, together with a quarter of the same note. This practice is not in popular use, but is still acceptable. Below is an example of this. The duration of the crotchet in Figure 52 has now been extended by both its half and its quarter. Rest values can also be dotted in a similar manner. Dotted Rests The concept of dotted extensions does not apply only to notes; it may be used on rests as well. As a matter of fact, it will probably be used more on rests than on notes. The dotted quaver rest in Figure 53 has the value of one and half of its original value. As stated before, dotted values are more commonly used than double-dotted values. You can avoid the use of dots by choosing a pulse value that is appropriately divisible. This can also be easily avoided by using a meter that has shorter beats. SIMPLE AND COMPOUND TIME SIGNATURES Time signatures are not always simple: at times, several beats are compounded into one and treated as one pulse by using a dotted value. Single Denominator — in simple time, each beat is represented by an INDIVIDUAL DENOMINATOR (e.g., 2/4, 3/4, 4/4, 2/2 and 3/8). Denominator Sum — in COMPOUND TIME, each beat is represented by a COMBINATION of beats. 9/8 Compound Time — in 9/8 time, there are NINE QUAVERS, but THREE QUAVERS are regarded as one beat, therefore, in 9/8 time signatures there are only THREE BEATS. Time Signature Variation — although beat values derive their value from the denominator (i.e., 2/4, 2/4, 4/4, etc. ), in compound time the denominator value as it appears in time signature (6/8, 9/8), is not regarded as an indication of a beat value, it only represents a third of the beat value. In 2/4 time, the beat value is a 4th note (or otherwise known as a ¼ note), although in 6/8 time the beat value in not an eighth note. Sub-Division Of Time Values Of all the note values discussed in this book, the breve is the longest. However the breve is hardly ever used in modern pop music notation. Therefore, in the table of figures below, the longest value shown is the semibreve, and the shortest is the semi quaver. Figure 54 compares note values by size, with the purpose of illustrating the relative value of each note. We all know that one loaf of bread contains two half-loaves; therefore it is easy to understand how eating two halves would fill you up as much as if you had eaten a whole loaf. Play around with the values in your mind. For example, check how one minim is made up of eight smaller notes, called semi quavers; or how one crotchet is composed of two quavers. Do the same with the rest values in Figure 55. C=0 flats F=1 flat B==2 flats E==3 flats A==4 flats D==5 flats G==6 flats C==7 flats. As an exercise, try to construct these scales on your own without referring to the table. When you have finished, compare your findings with the table. WHY FLATS OR SHARPS AND NEVER BOTH? Have you never wondered why some keys are indicated by flats and some by sharps? Or why none of the keys are indicated by combinations of sharps and flats? This is because in order to modify the base alphabet (A, B, C, D, E, F and G) set used for constructing a scale into another key then C major, one can adjust the tone and semitones distances between notes either by raising or lowering the notes in order to create the required T-T-S-T-T-T-S note relationships. The rules governing this modification process require that the new scale both RETAINS ITS ALPHABETICAL SEQUENCE and USES EACH ALPHABET LETTER ONLY ONCE. Coincidentally, whichever method of modification (either raising or lowering) the first change takes, will by default apply to the rest of the modifications (or T-S adjustments). For the purpose of this book, we have limited the scope of key signature to the G clef77; should you wish to study this further, please refer to any study text of your choice. THEORY TO MUSIC In this chapter we will deal with fundamentals that support the knowledge of music theory you have acquired by beginning to apply it. TECHNICAL DEGREES It is important for music to be understood globally. For example, suppose a lawyer were to tell you that, by default, when a man named Olabode78 dies, it is law that his possessions be given to Mrs. Oni (a fictitious person for the purposes of our illustration) if at the time of his death he is not married. Unfortunately, the rule cannot apply to everybody, because when Calvin dies we cannot give his possessions to Mrs. Oni. If we wanted to apply the same rule we used with Olabode, we would have to understand the logic upon which the 'Olabode principle' was based, and then apply that to Calvin. However, if we made a general statement, namely, "THE LAW REQUIRES THAT A DECEASED SON'S POSSESSIONS BE GIVEN TO HIS MOTHER, UNLESS HE WAS MARRIED AT THE TIME OF HIS DEATH," then it would make better sense, and be universally applicable. We would suddenly understand who, in the case of Calvin, the 'mother person' is, instead of referring to a "Mrs. Oni equivalence." It is necessary to have international terminology in music, terminology that applies to EVERY KEY (i.e., a global language). DEGREES79 Degrees in this context are not academic qualifications, but a reference to notes of a scale. Each note in a scale is a degree of or a member in the scale, and can be referred to by numbers, i.e., 1, 2, 3, etc., or letters, e.g., C, D, E, etc., or even standard technical terms. In the following table, we introduce a system of naming the notes of a musical scale by syllables (instead of alphabet letters) called SOL-FA  this will be discussed in detail later in the book. GENERIC NAMES ARE EFFICIENT If one does not use these degree names, it becomes necessary to specify notes in each key by exact names. One could address a congregation of 500 members and say, "Everybody, bring your spouse to the couples' barbeque on Saturday." Alternatively, you would have to be specific and address each of the 250 husbands individually: "Mr. Jones, bring Mrs. Jones to the couples barbeque on Saturday, Mr. Brown, bring Mrs. Brown … ". An hour later, you would probably still be at it. Generic vocabulary saves time, helps people understand quickly and makes things easier. INTERVALS REVISITED Intervals are simply comparisons of distance (denoted by interval type and number of notes) between one note and another. In the same way that knowing the difference in distance between a trip from Cape Town to Johannesburg and a trip from Pretoria to Johannesburg is helpful in relating the three cities, intervals can help us relate notes to each other. There are two main kinds of intervals, SIMPLE and COMPOUND. In each category, there are NATURAL and CHROMATIC intervals. You could therefore have a simple natural interval or a simple chromatic interval. SIMPLE INTERVALS84 Simple intervals are intervals which all fall within one octave85. All intervals are based on the MAJOR SCALE of the root (starting note). If you are measuring an interval from doh to ray, you must use the scale represented by doh to calculate your intervals, i.e., in the key of C, doh would be represented by C, therefore you use the scale of C. However, in the key of D, doh is represented by D and so forth. Determining the Size — having noted that C-D falls under the MAJOR type, because it represents or is represented by the 1-2 number pair, we then derive its size from the second number in the pair 1-2 (see 2nd column in Figure 62). C-D becomes a 2nd because of the '2' in 1-2. Therefore, C-D is a MAJOR 2nd. Notice that natural intervals can only fall into one of two categories, namely MAJOR and PERFECT. Depending on their size, 1 becomes 1st, 2 becomes 2nd, 3 becomes 3rd, 4 becomes 4th, 5 becomes 5th, 6 becomes 6th, 7 becomes 7th and 8 becomes 8th or Octave. The harmonic effect of compound intervals will be similar to that of simple intervals, although compound intervals may tolerate more dissonance because of the number of overtones88. Next, we figure out that CF (or C-F) must have been converted to CF< How? The size of CF< had to be increased by a SEMITONE, i.e., F was raised to F<. This sounds to me like it would have been a perfect fourth interval (in its original form as C - F), but now it is a modified90 perfect fourth interval. How do we name modified intervals? Looking at Figure 66, arrows from one interval type of another indicate the name changes that are possible. EXAMPLES OF SIMPLE AND CHROMATIC INTERVALS Interval notation is the same when written on a staff, as it is when written in alpha92. The names are merely translated to the staff. Staff notation is obviously more illustrative on a staff because the notation visibly conforms to the INTERVAL NAME derivation93. INVERSIONS94 OF INTERVALS Why would one want to invert an interval? Because it happens in everyday life when people sing or play music? How do we do it on paper? Again, the answer must conform with generic or global interpretation. Remember that global does not refer to the geographic aspect of music, but the key aspect; it has to be global across all twelve keys in order to simplify the process of explaining music and its characteristics in a manner that is applicable to all keys, without having to list each key separately. Nothing stops intervals from being written above or below a given note. Logically, there must be a relationship or similarity of some sort between C — F and F — C. Inversion is the explanation of this similarity we are referring to. You must realize, however, that intervals change names when they are repositioned to either above or below a given note. They do not keep the same name. Such intervals are said to be inverted. Look at the illustration and see how the same intervals are inverted to take new names. Find the Proposed Inversion Above — you must identify the note before it has to be written as an inversion. Major 2nd Example — to write a Major 2nd below a given note, you could work it out as a MINOR 7th (7 being the remainder from 9 minus 2) above the given note and then move it to the first octave position below the root note — it will automatically be correct! THE USE OF FOREIGN LANGUAGES In musical notation, certain things cannot be conveyed to the singer or player by using music symbols, words are then used to say what kind of expression, feeling, mood, emotion, manner of performance, at cetera, the composer had in mind. These words are a collection of vocabulary from the languages of the many great composers from the past. Unfortunately for you and me, most of them spoke foreign languages. You will see words and phrases in French and German, although not as many as in Italian (words and phrases). These words have to be known by heart since they appear in most sheet music and when they do, there is not going to be a spare second in the middle of a score95 to look them up in a dictionary. Learn as many of these as you can, so that you will be ready to carry out any foreign instruction the composers might have used on their music scores. VARIOUS EXPRESSIONS Tone Indications For example, there are several words used to indicate the required tone or tone intensity or related expressions like forte, mezzo forte, piano, mezzo piano, crescendo, decrescendo, diminuendo, fortissimo, pianissimo. Tempo Indications Most of the following words are expressions related to performance speed, like allegro, allegretto, andante, moderato, ritardando, adagio, andantino, presto, accelerando, a tempo. Articulation And Character Indication Character may also be expressed using words like legato, staccato, forzando, cantabile and semplice. Score And General Indications There are additional words which are used for general score indications like da capo, fine, da capo al fine, dal segno, al segno and fermata. CHORD NOTATION AND CONSTRUCTION Intervals help us with the basic construction of melodies, but melodies without accompaniment will most likely sound dull. That is why, after studying intervals, we have to use them as part of our music tools together with other aspects of music. Intervals are also greatly used in the construction of chords. When one starts using intervals in chord construction, one must find an easier abbreviated manner of writing interval definition. This will make the identification of intervals quick to write. INTRODUCTION TO CHORDS Chords are COMBINATIONS of notes. If you recall, our definition of music described music as 'the art of arranging sounds into sequences and combinations,' which is what we are talking about in this section. Notes combines into chords are usually played simultaneously, but sometimes they are played in a BROKEN FASHION, i.e., note by note, even though their combined effect is harmonious — this is known as arpeggio97. Chords are simply made up of intervals (which we discussed in the previous section). First, a ROOT note is chosen on the basis of the intended chord and key, after which the rest of the chord's notes are added based on the specific chord type's formula of intervals, that is specific intervals are added on top of the root note to create that chord. A chord will always have a ROOT. These are just a few of the chord types. There are many more. I suggest that you look-up the rest of the chords, keeping in mind that you will probably never learn all the chord types there are to know. Learn what you need, keep what you want to use. Music is cosmic, learn what you need, use what you feel — APEL Truth.097 A chord with four notes is called a TETRAD, while a chord with three notes is called a TRIAD. Triads are easy to write, once you have figured out your intervals, you just position them accordingly on the staff. For example, the formula for the MAJOR chord is the PRIME (1) or ROOT (R), the MAJOR 3rd (M3) and the PERFECT 5th (P5). This was presented earlier in the book. 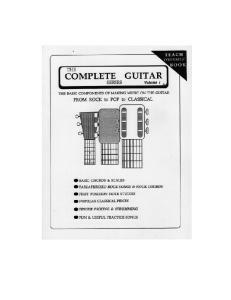 CHORDS OF THE MAJOR SCALE In this chapter, we introduce the construction of a few new basic chords based on a ROOT, with the 3rd and 5th selected purely from the major scale. But before we do that, let us analyze the chords of the major scale. Major Chords — I, IV and V are MAJOR CHORDS. Minor Chords — ii, iii and vi are MINOR CHORDS. R, m3, P5 — these interval notation abbreviations represent the root, minor third and perfect 5th respectively. In each key, the alphabet names represented by R, m3 and P5 will be totally different. For example, in the key of D, 'D' will be the root, 'F' will be the minor 3rd (D-F is a minor 3rd), and 'A' will be the perfect 5th. The m3 chord of D therefore, will be 'D, F, A.' The chord would have been a major chord except for the deviation of the m3 (changed from M3), this m3 together with the prime (root) and perfect 5th are called a MINOR CHORD (because of the presence of the MINOR 3rd INTERVAL). The minor 3rd interval will also be seen in other triads of the scale such as in iii and iv. CHORD POSITIONS In Figure 78, the chords are written on the staff in the key of C major. When a chord is written starting from the prime, it is said to be in the root position, i.e., in key C major for the TONIC MAJOR, CEG98 is in the root position, EGC is in the first inversion and GCE is in the second inversion. Look at the illustration, and notice how the chords are notated on the staff each type with its own unique intervals. CHORDS OF THE MINOR SCALE In the harmonic minor scale, there are chords similar to the major scale types, except we now also see the introduction of the AUGMENTED99 TRIAD. Look at the chords of the harmonic minor scale degrees of C, also based on the ROOT, 3rd and 5th of purely, notes from the harmonic scale. Minor — you can see that i and iv are MINOR CHORDS. Diminished — ii◦ and vii◦ are DIMINISHED CHORDS. Major — V and VI are MAJOR CHORDS. Construction of the Augmented Chord — let us look at III+ as taken from the harmonic minor scale of E=. E= - G is a MAJOR 3rd interval, but E= - B> is an AUGMENTED 5th interval, therefore the triad will be named after this prevailing new and foreign (chromatic) interval as the AUGMENTED 5th CHORD. 2nd — and the SECOND INVERSION is B>, E=, G.
Structure Type — chords have two forms of structure, namely, CLOSE and OPEN. Close Structure — chords are said to be in CLOSE STRUCTURE when their intervals are written as close to each other as the chord permits. In the major chord of C, CEG is in CLOSE100 structure, but CGE is not, it is open101, irrespective of the chord position. Open Structure — whenever a chord is written such that any of the next logically note above or below a chord member is omitted or skipped, then that chord is said to be open. Simply because there is an opening which came about by the removal of a note from a logical position in the chord. PUTTING IT ALL INTO A SONG Now that we have studied all these wonderful things, how do we put it all together into a song? Time and Note Values — on the subject of time, we looked at notes (or rests) and their values. We also looked at how these things are written on the staff. Scales and Keys — we then looked at pitch and understood how the notes are named, how they form scales and keys. Intervals and Chords — finally, we looked at intervals and how they become chords. We must now start putting some of these together to make sensible music. AN ADDITIONAL PERSPECTIVE Some additional aspects of music that we did not discuss in detail must be dealt with in this section. Implied Beat102 By the term implied beat we mean a beat understood logically or by musical perception. It is known to be there even though one is not necessarily accentuating it by actually counting or beating a metronome tone to it. IT IS FELT IN THE MOVEMENT OF THE MUSIC. Metronome103 Beat The metronome beat will be the audible beat which your foot, or a tempo device like a metronome will play out to you audibly. In 6/8 time, although theoretically we have said that there are SIX beats of the QUAVER size, we only count TWO beats of the DOTTED CROTCHET SIZE. That is also what the metronome, or the choir conductor focuses on for the feel of the music. Accent or Pulse The accent or pulse, is what determines the motion of the music. In 6/8 time, the song will hook itself on the first beat of the bar (i.e., 1a or 1), and occasionally on the second beat of the bar (i.e., 2a or 2). If the song movement seems to hook itself differently or in contrast with these beats in, then it is not meant to be 6/8 time. The pulse and accent of a song also determines the choice of meter (time signature). The frequency of the strongest and that of its second strongest beat will inform the strong and weak beats of time signature for that song. 12/8 and 4/4 TRIPLE TIME When using 12/8, you will notice that the time feels the same as the triplet time of 4/4. In 4/4 triplet time, you have FOUR CROTCHET BEATS, but each beat is played as three quavers, and each of those quavers can actually be doubled and quadrupled as the need arises. ADVANCED RHYTHM The purpose of this lesson is to analyze the way time works in notation, after which you should be able to read complicated notation yourself.  Downbeat — when the foot tapping to the music goes down, it is on the downbeat. Upbeat — in order to get ready for the second downbeat, the foot needs to come up, this happens exactly halfway through the end of the current beat, just in time for the next beat. This is the upbeat. The DOWN and UPBEAT are an important part of understanding rhythm. Let us look at it again from another angle. When beating time to music, your hand or foot makes two main movements, the downbeat and the upbeat movement. The downward movement strikes at the beginning of the beat, the upward movement (although it does not literally strike against anything), figuratively strikes on the half beat. You must understand that each beat is made up of 1 FULL BEAT, or 2 HALF BEATS or 4 QUARTER BEATS. Fa — for the quarter of the downbeat and FE for the quarter of the upbeat. When using syllable codes, one can identify rhythm without a problem; each rhythm combination is describable using these syllables. A single crotchet, for example denotes TA, while two quavers are TA104-TE105, etc. DESCRIPTION Most songs start with an introductory arrangement which gives you a feel of what is about to follow, usually a few instruments will do that 'leading in' of the song. I suggest that you listen to the radio on the lookout for introductions of songs. Once your introduction has finished playing, you get right into verse one, this is usually where the singer starts to sing, but the place where the singing start really varies from composer to composer, as you will see when you start writing your own songs. Between verses, one usually finds a theme or hook, or part of the song by which it is usually remembered by. If you have sung hymns before, you will probably agree that we tend to recognize them more by their chorus melodies, rather than their verse melodies. Here, you resume the verse structure of your song, as your music continues. Verse two will probably sound much like verse one. Like the verse structure, the chorus also returns (except the chorus is sung exactly or almost exactly the same each time), more often than not, the chorus is repeated more than the verse structure is. One can get bored of the same 'verse and chorus' structure, in which case, a composer usually throws in a relief structure (or piece) round about here, called a bridge. The bridge plays different from the rest of the song, and sometimes sounds more like an 'introduction in the middle' — the bridge is also known as the middle or a break, literally taking a break from the song. Same as before, notice this is our third chorus. MELODY AND PHRASES We saw how each part of a song is made up of a melody or melodies. A melody is a complete sentence of a tune. However, in music just like in spoken or written language, a sentence is made up of PHRASES. Phrases are the most important part for constructing meaningful melodies, or in the bigger picture, good songs. Phrases are logical portions of a melody; most melodies are made up of two, three and even four phrases. The concept of question and answer features in a melody where the first part of a melody might pose a theme that requires a response. This is referred to as question & answer107. A phrase must have logic and structure, which in most cases is felt in the CURVE108 the melody assumes: either upwards or downwards or slightly upward and then fully downward, and sometimes even stationary, depending on the taste of the composer. BAR A bar is simply the smallest pulse cycle in a song. In a song that counts three times per pulse, your bar will be three beats long. Every three beats that are hooked into a pulse, become a bar. MOTIF In most cases, a motif is even smaller than a bar, because it is simply an idea based on RHYTHM or NOTES — two and three notes (or rhythm) strokes can easily make up a motif. The motif as an idea, is REPEATED, VARIED, DEVELOPED and CONTRASTED throughout the composition. You will study this principle109 in later sections. KEY SIGNATURES AND SCALES You have studied majors scales in the keys of C, G, D, A, E, B, F and B=. You must try and revise the concept of major scales by learning to write them out on the staff. Use of a Slur — add a slur between the 3rd & 4th degrees, and the 7th & 8th degrees to mark your semitones. For example, in the scale of G, it would be between B & C, and F< & G.
SCALES FOR THE REMAINING KEYS The major scales for the keys of E=, A=, D=, G= and C= (in FLAT KEYS), F< and C< (in SHARP KEYS) had not yet been illustrated on the staff. If you have tried to construct them yourself, you can refer to Figure 90 to compare your results with mine. The cycle of fifths was used to present the most commonly used keys, almost in the same order in which they appear in the cycle. This is the reason why we followed that sequence in illustrating the key signatures and their scales on staff notation for you. THE HARMONIC MINOR SCALE There are two kinds of MINOR SCALES, namely the harmonic minor and the melodic minor; the melodic minor has two forms, one for the ascending order and the other for its descending order. 6th Degree — in the key of E= major, the LAH NOTE is C, the 6th degree of this scale, exactly one and a half tones below E= — the DOH NOTE. This is easy and convenient in that you can always work down to the LAH or the starting note of the proposed minor scale. Starting Root — where would you find the starting note, if you were required to write the harmonic minor scale of D, seeing that you have no LAH or DOH NOTE to work down or up to? You have to work it out. The Lah Assumption — if the minor scale starts on LAH, then each note on which you decide to base a minor scale, can be regarded as a LAH note. What you have to do then is work up to a DOH from this presumed LAH, i.e., to a tone and half above it, (or better yet, a minor third above). Then write the major scale of that note. The Formula — the HARMONIC MINOR SCALE is composed of the interval sequence of Tone-Semitone-Tone-Tone-Semitone-Tone and Half-Semitone. One can construct harmonic minor scales for minor key signature using a similar method as was used for major scales. I recommend the following method for constructing the harmonic minor scale of any key. Find the Relative Major — find the RELATIVE MAJOR of the given key by moving up to its minor third (or one and half tones above it). The note you will end up at is supposed to be both the KEY SIGNATURE and the FOUNDATION for the new harmonic minor scale. Write the Relative Major Scale — next, write out the MAJOR SCALE of the RELATIVE MAJOR, as established above. Once that is done, rewrite it again starting from its 6th degree or SUB-MEDIANT, not the usual TONIC. Modify the 7th Degree — the outcome is then the harmonic minor scale required except for the small detail of the interval between the 6th and 7th degree, which turned out as a tone (actually, a semitone lower than required). Therefore, the last thing you have to do to this new harmonic minor scale is to RAISE its 7th degree by a semitone. With this newly found knowledge, try and construct the harmonic minor scales of C, G, D, A, E and B. Remember that if you use the interval sequence method, you must always make sure that your 'raised notes' are properly notated using ='s, <'s or >'s, in relation to the key signature inflections. When you have constructed these harmonic minor scales, they should look like the illustrations given in our figure, if you have picked the same keys. The illustration below demonstrates the relationship between MAJOR and MINOR keys as discussed earlier. It clarifies the concept of RELATIVE111 MAJOR and RELATIVE MINOR in the context of key signatures. The Melodic Minor Scale We mentioned that the melodic minor scale has two forms, viz., ascending and descending. The direction of the melody affects the notes used in the scale. The ascending form is used when the direction of the melody you are composing, or reading is moving upward. When it moves downward, the scale changes from melodic minor ascending to melodic minor descending. Melodies that change direction often make it difficult in that the reader or composer must remind himself to use the right scale order. Revisiting the Harmonic and Melodic Concept The harmonic scale is used for harmony; in other words, all the chord constructions will be based on the harmonic minor scale. The melodic minor scale is used for melody. All melodies will be written on the foundation and basis of the melodic minor scale. If a melody is based on the major scale, then this rule will not apply. The major scale can be used for both CHORDS (or HARMONY) and MELODY. It is only in minor keys where this differentiation of scale order and types takes effect as far as usage for chords and usage for melody is concerned. COMPARISON WITH THE MAJOR SCALE The melodic minor scale is the same scale as the major scale of its relative major. The relative major of C is E=. There is no difference between the two scales except that they do not start at the same note. The notes used are the same. The 6th and 7th Degree — the scale of E= in Figure 99, was rewritten so that it could start on the letter C. The new 'C scale' is the same as the original E= scale except that the 6th and 7th degrees were raised by a semitone each. The degrees were raised from FLAT to a NATURAL, indicated in this case by a natural sign (>). A natural cancels previous inflections acquired by a note. Key Signature — each minor scale uses the key signature of its 3rd degree, i.e., the minor scale of C uses the key signature of E=. Inflections — when using KEY SIGNATURES notes keep their inflections — <'s, ='s and >'s remain as they were. This is important to remember in order to keep the intervals of the MAJOR SCALE unchanged. Proper placement of inflections is necessary, otherwise the melody will be different and the key will change. The example given in the illustration shows a melody, rewritten an octave lower without key signature. This illustrates the manner in which transposition should be treated. Remember that in advanced musical notation, the interval of transposition may be changed to any simple or compound interval of preference. This level of transposition borders on counterpoint112, where the student's expertise and comprehension of music writing and analysis will be engaged. YOU ARE READY TO BEGIN I mentioned at the beginning that one of the things I had to do in order to be able to determine the things that needed attention in my singing, was to study music. As you would expect, music theory is an entire subject on its own, hence the length of the chapters. If you have understood the background knowledge I have given you, I will now address you as a student who understands the basic elements covered in this book. If you do not understand any of the things I am referring to, please go back and revise the previous chapters until you understand everything. After I completed writing this book, I read it over several times, and each time I read it, I realized that there were quite a number of things which I should have mentioned to the reader in advance. The mentioning of such things will make the reader's life easier. The purpose of this short chapter, therefore, is to list for you, the things you may require in order to proceed with APEL uninterrupted and unhindered. Some of them issues require you to spend a little money. If you do not have money, alternative suggestions are given. This book is not restricted to the rich and famous. Of all the requirements, the most important should be the adjustment you make in and on yourself. You must be ready for APEL before you start. Each time I lectured, I told my students of the importance of making a psychological adjustment, they always assumed that I was being too sentimental over APEL, or just a little mellow dramatic. YOU NEED SPACE114 I cannot over emphasize the need for space. You need a place where you can go crazy without being noticed. APEL is not for conservative people, it is not possible to succeed at APEL without letting go of your inhibitions. You will soon realize that you have to scream at times, make faces and funny sounds. You do not want to do this in front of your children, husband, friends, and relatives. Take it from one who has been there. By space I mean simply, a place where you CANNOT BE HEARD, where you feel comfortable. There must be no interruptions. Earlier in the book, I told you how I found the bush to be perfect for this. I am not suggesting that you become a hermit and run off to the bush. Before you choose a place, make sure it is safe and that somebody knows about it. The place you choose must be accessible to you as and when you need it. YOU NEED SUPPORT Doing the program with a friend would be ideal. The only person you should involve in your training program should be another who is also doing the program. It has to be somebody who understands the dynamics of APEL. If you have access to the Internet, you can access support resources online (http://www.voicetraining.biz), alternatively, you can email your questions to [email protected] for a prompt personal response. For those students who do not have the luxury of the Internet, you can send your questions, comments, and requests to the APEL postal address, viz., ICMA, P.O. Box 1749, Gallo Manor, 2052. It is our mission to look after our students and alumni; members of our staff will not let any correspondence go unnoticed. We believe in APEL and we want to see it become a household name. We have a vision for a singing universe. TOOLS STATIONERY A person does not have to be able to read and write in order to do the program, but it will be difficult without these skills. It would imply having a helper who can read for the student. As you make progress, you will be required to log certain activities for later review. This obviously requires a pen or pencil. In order to make life easier, I have provided in this book, various forms and tables for the student's convenience. If you want to redraft some or all of them in a format that better suits you, you are welcome. If you have obtained this book without the forms, you can get them online from our website or write to ICMA117 and request the forms. tape because one needs to locate the material with ease — which on a tape, would take for ever to seek, whilst on the CD, it is simply going to the required track number. The other advantage of the CD is that for repeating exercises, most CD players allow one to repeat a track forever, allowing the student to audition and rehearse without having to rewind and locate the material each time. Another point of interest for us was that it was cheaper to produce CD's than tapes, especially in that the CD's did not require labels to be printed. Therefore, you will need to have a CD player. I would advice you to get one of those portable players, which you can take with you when you retreat to a secluded private area. Portable CD players are less cumbersome, and will make unplanned rehearsals easy for you. This is because portable units do not have the restriction that fixed CD players come with. It is also important to note that Recordable CD's (on which the audio is provided) are more vulnerable than normal audio CD's. Therefore, take appropriate care of the APEL CD's. Do You Not Have a CD player? If you do not have a CD player, you can try to follow the written version (of the audio material on the CD) in the index, using sol-fa. I did not have any audio reference material when I was learning to sing. Honestly speaking, you gain more when you are not using the audio support material ─ you spend a considerable amount of time instilling the sol-fa into your subconscious, thereby improving your aural capabilities. In the interest of time and the prevention of the effects of the high levels impatience and intolerance in the typical student, we wanted to make the process as easy as possible by including the audio material and exercise sheets. TAPE RECORDER While you cannot follow the APEL audio reference material using a cassette tape, you are still required to have one. It does not need to be a cassette tape, anything else that can record and store your audio will do. People who have portable computers can use the Microsoft Sound Recorder program to capture snippets of their auditions. The tape recorder does not have to be of high quality; anything that can play back well enough for you to judge your own performance will do. The difference between this and being in a classroom is that I (or a tutor) am not there to assist you; hence, you have to learn to do it yourself, to be your own judge! Years ago one, of my very young relatives went to visit other relatives who spoke a completely different language from us. She had never spoken a word of that language before. In a matter of two weeks, the fluency and quality of the foreign language she displayed left me astonished and feeling somewhat less intelligent because I could never have mastered a language in two weeks. Many years later I read that children have a higher aptitude for learning a new language than adults do. The point is, however, that no matter how little experience and music knowledge you have, by HEARING THE MUSIC OVER AND OVER, you will be amazed at the level of analytical expertise you will begin to display. This is because your mind will learn to subconsciously make sense of something if it hears it enough times. MEDICAL CONSIDERATIONS While no one has ever suffered adversely from APEL, we always remind ourselves that no matter how harmless APEL seems, we do not know the condition of your health and how vulnerable it is to vocal and mental strain For that reason, we insist that you consult a general practitioner and inquire whether there are any activities related to singing, exercise and emotional pressure that you should avoid, before embarking on this journey. LARYNGEAL PRECAUTIONS You must take good care of your larynx; further guidelines to this effect are included elsewhere in the book. A common mistake people make is overdriving their larynx. Use it sparingly: think of it as body tissue; it requires a lot of rest. Before a major singing event, make sure you have at least 48 hours' rest. During exercise and rehearsal, watch out for discomfort. Should you begin to experience any discomfort, see if water alleviates it. If it does, then proceed with caution. Should the water not solve the problem, your only other remedy will be rest. Do not proceed again until after 48 hours ─ muscle tissue requires at least 48 hours healing. If rest does not clear up the discomfort, immediately consult your doctor. It might be a medical condition that requires professional attention. You cannot afford to have your larynx damaged: your speech and singing depends on it. SPEECH THERAPY Some people may find it necessary to consult a speech therapist. A speech therapist is a professional who is skilled in the diagnosis and treatment of ailments such as speech, language, and voice disorders. A speech therapist cannot treat medical conditions; for that reason he or she works in conjunction with a neurologist118, an otolaryngologist119, a psychiatrist120, a psychologist, a psychiatric social worker or a speech pathologist121. There are various causes of speech disorders, some of which are disease, physical injury, or deformity. These are all are medical conditions only a physician or surgeon should treat. OTHER MEDICAL PROBLEMS Problems Related to Medical Conditions I had a student who had a breathing problem — whenever she tried to sing, she would get dizzy. I do not know what the problem was because she was never comfortable talking about it, and she dropped out before we got around to the root of the problem. This could easily have been a medical condition of some sort. If it was given the proper attention, she could have completed her APEL studies. Problems Related to Carelessness I had another student whose voice was extremely vulnerable. She would experience a lot of pain after singing even a short phrase. In her case, it was the lack of proper handling of the larynx. The manner in which she sang, was excessively strenuous to her larynx. It is important to learn how to handle your larynx, both in song and in speech. ON A SPIRITUAL NOTE On a spiritual122 aspect, some of the readers may not be from a Christian background. APEL was designed for Christian students, but this will probably not be a problem. APEL will work for nonChristians as well as for Christians. MENTOR When you sit in a classroom, the teacher automatically becomes your mentor. However, through distance learning or self-study, your teacher cannot be your mentor. Therefore, you will need a guide or inspiration to work from and with until you can stand on your own feet. CHOOSE A RENOWNED TALENTED SINGER I started with Jim Reeves and Jimmy Swaggart as my mentors. When I outgrew their style, I switched to Elvis Presley because there was a depth of emotion in his voice that attracted me. Soon after that, I discovered Lionel Richie's flexible pop style. I became hungrier for expression in my singing and teamed up with Luther Vandross's earlier works. It was not long before I realized that if I were going to be satisfied with my voice, I had to learn to express myself in my own way. I had to clean out of my voice, all those influences I picked up from Elvis, Lionel, Luther, Jim and others. It is sometimes easier to adopt another person's style than to get rid of it. Some clothes are easier to wear than to take off — APEL Truth.106 My advice is for students to be cautious when choosing a mentor or role model. Sometimes, many students pick the same mentor repeatedly and you end up with a thousand Stevie Wonders running around. Aligning yourself with a singer is the same as drinking of his spirit — a part of his spiritual makeup rubs off on you. The Law of Association permits the transfer of a spiritual aroma to the follower — APEL Truth.107 You must be careful of this reality. Watch your spirit; do not expose it to wolves and vultures. If you latch on to a corrupt singer as a model and inspiration, you might end up receiving more than just his style. A a tempo — (Italian) in time, resuming normal speed after a variation. accelerando (accel.) — (Italian) gradually faster. adagio — (Italian) slow, but generally not as slow as largo. agitato — (Italian) agitated. al segno — (Italian) as far as the sign. alla — (Italian) to the, in the manner of. alla marcia — (Italian) in the style of a march. allargando — (Italian) broadening. allegretto —(Italian) lively, but less so than allegro. allegro —(Italian) quick tempo, lively. anacrusis — an unstressed beat (usually the last or up-beat). andante —(Italian) moderate tempo, going, moving. andantino — (Italian) faster than andante, slightly modified andante. animando — (Italian) becoming more lively. animato — (Italian) animated, lively. attaca — (Italian) go straight on, immediate move on to the next section. ausdruck — (German) expressively. B belebt — (German) lively, animated. ben — (Italian) well. bewegt — (German) with movement, agitated. da capo dal segno — (Italian) from the beginning and then from the sign. da capo al segno — (Italian) from the beginning to the sign. dal segno — (Italian) from the sign. decrescendo (decresc.) — (Italian) decreasing in loudness. delicato — (Italian) delicate. diminuendo (dim.) — (Italian) decreasing in loudness. dolce — (Italian) sweet, soft. E empfindung — (German) emotion, feeling. energico — (Italian) energetic. espressivo — (Italian) expressive. F fermata — (Italian) pause, literally a stop. fine — (Italian) the end. forte (f) — (Italian) strong, loud. forte-piano — (Italian) pianoforte, loud and then immediately soft. fortissimo (ff) — (Italian) very loud. forzando (f) — (Italian)) forcing (indicated by > above the note/s). frisch — (German) vigorous. fröhlich — (German) cheerful, joyful. C cantabile — (Italian) 'singable,' in a singing fashion. cantando — (Italian) singing. capriccioso — (Italian) in a whimsical, fanciful style. colla destra — (Italian) with the right. colla sinistra — (Italian) with the left. colla — (Italian) with the. comodo — (Italian) convenient. con brio — (Italian) with vigour. con forza — (Italian) with force. con spirito — (Italian) spirited. con — (Italian) with. con espressione — (Italian) with expression. con moto — (Italian) with movement or motion. con anima — (Italian) with soul, with feeling. con grazia — (Italian) with grace. crescendo (cresc.) — (Italian) growing, increasing in volume. D da capo al fine — (Italian) from the beginning to the word fine. da capo (D.C.) — (Italian) from the beginning. G grave — (Italian, French) very slow, solemn. grazioso — (Italian) graceful. K kräftig — (German) strong. L langsam — (German) slow. langsamer — (German) from langsam, more so than langsam. larghetto — (Italian) a little largo, slow but not as slow as largo. largo — (Italian) playing to be slow, broad. lebhaft — (German) lively, vivace. legatissimo — (Italian) as smooth as possible. legato — (Italian) bound, smooth, tied. leggiero — (Italian) light lento — (Italian) slowly or lent (French). lustig — (German) cheerful. Although in this book we cannot cover the complete dictionary of foreign words used in music, we have included those that seem necessary for you to study APEL. M ma non troppo — (Italian) but not too much. maestos — (Italian) majestic. mano sinistra — (Italian) left hand. mano destra — (Italian) right hand. marcato — (Italian) emphatic, accented. marziale — (Italian) in a military style. mässig — (German) at a moderate speed. meno — (Italian) less. mesto — (Italian) sad. mezzo — (Italian) half. mezzo forte (mf) — (Italian) half-loud, midway between loud and soft. mezzo staccato — (Italian) half short or detached. mezzo piano (mp) — (Italian) half-loud. misterioso — (Italian) mysterious. moderato — (Italian) moderate. molto — (Italian) much. morendo — (Italian) dying away. mosso — (Italian) moved, moving fast. http://www.voicetraining.biz vivace — (Italian) lively. volti subito — (Italian) turn (the page) at once. Z zart — (German) tender, delicate. Report "Essential Music Theory for Singers"